You know I LOVE knitting. You also know that I LOVE documenting my knitting here on the blog. But sometimes there are other critical priorities. There are certain demands made upon me by Finn. Most times I must comply. At least until he’s finished with me. This morning, I was able to continue knitting. As long as it didn’t interrupt his “biscuit making” too much. 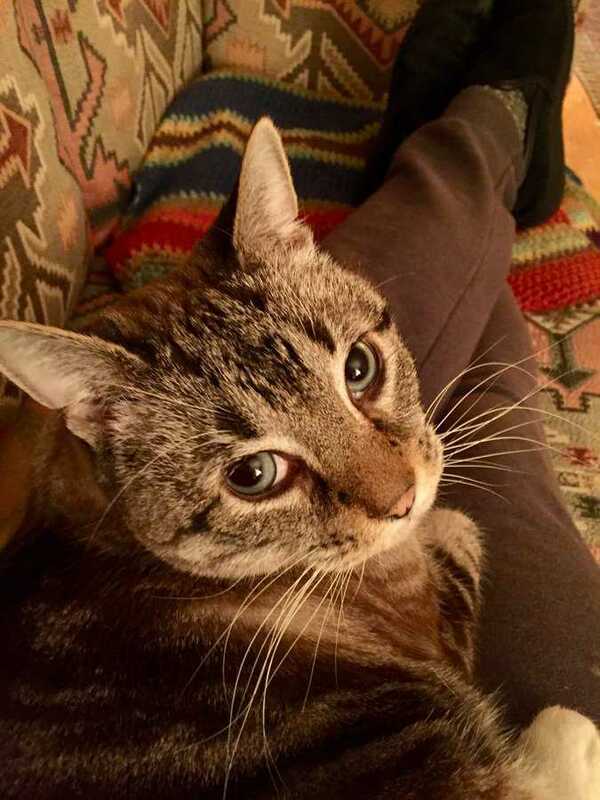 God, I love this cat! But you should know that all that material he’s massaging is only my layers of clothing. My abs are tight as a drum. 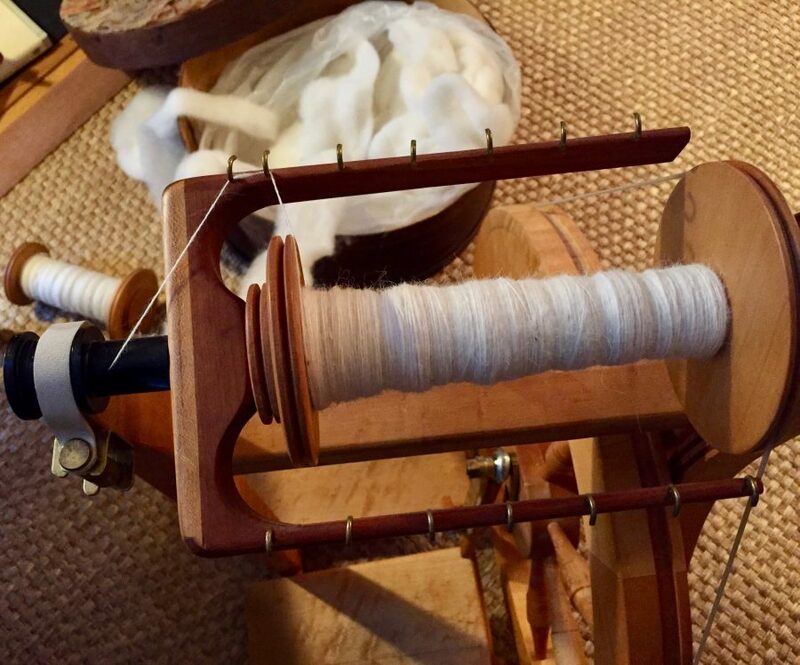 While I wasn’t able to maintain an hour-a-day for my spinning, I was able to make progress on the Tommy’s Preferred Blend spinning. I also had some difficulties with the second sock-machine sock from the last blog entry. Despite my new fantastic pick tool, I screwed up the sock twice and had to rip it out both times. Hopefully the third time will be the charm for this beautiful sock-to-be. 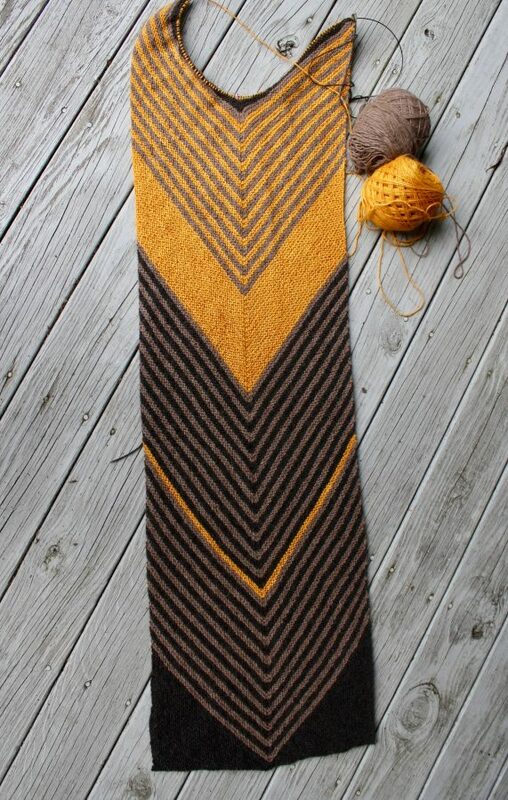 Finally, I made quite a bit of progress on the Biased Striped Stole…despite Finn’s demands for attention. 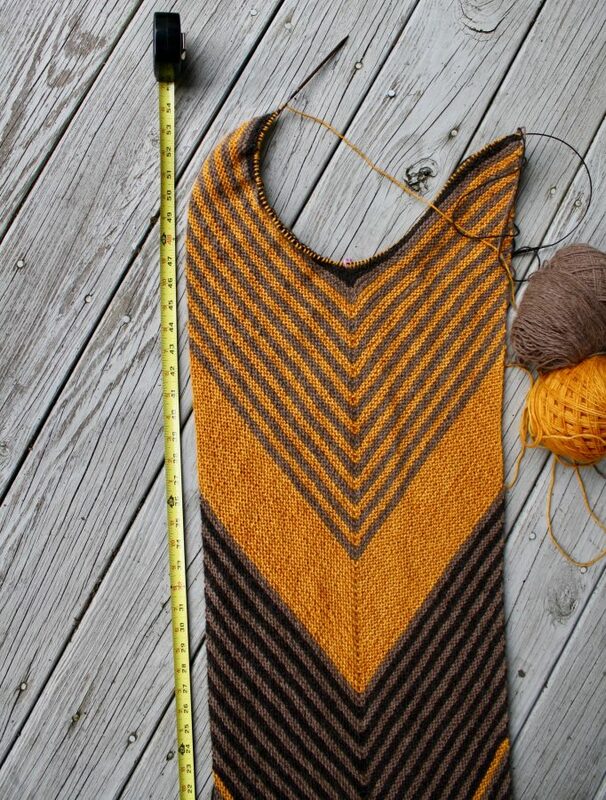 At this point, the garment is about 55 inches long and will eventually be about 68 inches in total. One of the things I always hate about blog photos is that they don’t fully represent the softness, the silky drape and the warmth of the fabric. But trust me, this fine alpaca makes an incredible fabric. Both excellent ideas. I looked on-line for both options, but it’s difficult to tell if the eye of the needles would be wide enough to thread a worsted-weight yarn, so I’ll have to check out the craft store next time I’m there. There’s a way around a big-eyed needle. Take your yarn and fold it tightly over the needle. Holding the fold tightly in your thumb and forefinger, push the fold through the eye of the needle. I learned this doing embroidery with six-strand floss, and I find it works well with yarn too. I’ll have to try this with some of my more stubborn “fat” yarns. Thanks! Recently when folding didn’t work, I tied a piece of thread around the fat yarn and pulled it through the eye that way. I use a piece of dental floss instead a piece of thread as purlgin suggested.. I’ve also used a thin piece of cardboard cut to fit through the needle. Fold it in half, push through needle eye, put yarn through the fold and pull the cardboard back through the eye. The dental floss method is my favorite. I love your blog. It’s my mid-morning escape when I need to think about something besides work!